Simple. Beautiful. Einstein was right. Relative to DSGE, the key point is that there is no unique long-run equilibrium growth path, determined by technology and preferences, to which the economy is bound to return. In particular, the loss of productive capacity, skills and so on in the current depression is, for all practical purposes, permanent. But if there is no exogenously determined (though maybe still stochastic) growth path for the economy, economic agents (workers and firms) can’t make the kind of long-term plans required of them in standard life-cycle models. They have to rely on heuristics and rules of thumb … This is, in my view, the most important point made by post-Keynesians and ignored by Old Old Keynesians. Debating moden economics, yours truly often gets the feeling that mainstream economists, when facing anomalies, think that there is always some further ”technical fix” that will get them out of the quagmire. But are these elaborations and amendments on something basically wrong really going to solve the problem? I doubt it. Acting like the baker’s apprentice who, having forgotten to add yeast to the dough, throws it into the oven afterwards, simply isn’t enough. When criticizing the basic workhorse DSGE model for its inability to explain involuntary unemployment, some DSGE defenders maintain that later elaborations — e.g. newer search models — manage to do just that. I strongly disagree. One of the more conspicuous problems with those ”solutions,” is that they — as e.g. Pissarides’ ”Loss of Skill during Unemployment and the Persistence of Unemployment Shocks” QJE (1992) — are as a rule constructed without seriously trying to warrant that the model-immanent assumptions and results are applicable in the real world. External validity is more or less a non-existent problematique sacrificed on the altar of model derivations. This is not by chance. For how could one even imagine to empirically test assumptions such as Pissarides’ ”model 1″ assumptions of reality being adequately represented by ”two overlapping generations of fixed size”, ”wages determined by Nash bargaining”, ”actors maximizing expected utility”,”endogenous job openings”, ”jobmatching describable by a probability distribution,” without coming to the conclusion that this is — in terms of realism and relevance — nothing but nonsense on stilts? Time after time you hear people speaking in baffled terms about mathematical models that somehow didn’t warn us in time, that were too complicated to understand, and so on. If you have somehow missed such public displays of throwing the model (and quants) under the bus, stay tuned below for examples. A common response to these problems is to call for those models to be revamped, to add features that will cover previously unforeseen issues, and generally speaking, to make them more complex. For a person like myself, who gets paid to “fix the model,” it’s tempting to do just that, to assume the role of the hero who is going to set everything right with a few brilliant ideas and some excellent training data. Unfortunately, reality is staring me in the face, and it’s telling me that we don’t need more complicated models. If I go to the trouble of fixing up a model, say by adding counterparty risk considerations, then I’m implicitly assuming the problem with the existing models is that they’re being used honestly but aren’t mathematically up to the task. I used to work at Riskmetrics, where I saw first-hand how people lie with risk models. But that’s not the only thing I worked on. I also helped out building an analytical wealth management product. This software was sold to banks, and was used by professional “wealth managers” to help people (usually rich people, but not mega-rich people) plan for retirement. We had a bunch of bells and whistles in the software to impress the clients – Monte Carlo simulations, fancy optimization tools, and more. But in the end, the bank’s and their wealth managers put in their own market assumptions when they used it. Specifically, they put in the forecast market growth for stocks, bonds, alternative investing, etc., as well as the assumed volatility of those categories and indeed the entire covariance matrix representing how correlated the market constituents are to each other. The result is this: no matter how honest I would try to be with my modeling, I had no way of preventing the model from being misused and misleading to the clients. And it was indeed misused: wealth managers put in absolutely ridiculous assumptions of fantastic returns with vanishingly small risk. Unbiased econometric estimates — forget about it! Following our recent post on econometricians’ traditional privileging of unbiased estimates, there were a bunch of comments echoing the challenge of teaching this topic, as students as well as practitioners often seem to want the comfort of an absolute standard such as best linear unbiased estimate or whatever. Commenters also discussed the tradeoff between bias and variance, and the idea that unbiased estimates can overfit the data. I agree with all these things but I just wanted to raise one more point: In realistic settings, unbiased estimates simply don’t exist. In the real world we have nonrandom samples, measurement error, nonadditivity, nonlinearity, etc etc etc. 1. The unbiased estimate. It’s the safe choice, maybe a bit boring and maybe not the most efficient use of the data, but you can trust it and it gets the job done. A. Go with the safe, unbiased estimate. If it’s statistically significant, run some robustness checks and, if the result doesn’t go away, stop. B. If you don’t succeed with A, you can try something fancier. But . . . if you do that, everyone will know that you tried plan A and it didn’t work, so people won’t trust your finding. So, in a sort of Gresham’s Law, all that remains is the unbiased estimate. But, hey, it’s safe, conservative, etc, right? And that’s where the present post comes in. My point is that the unbiased estimate does not exist! There is no safe harbor. Just as we can never get our personal risks in life down to zero … there is no such thing as unbiasedness. And it’s a good thing, too: recognition of this point frees us to do better things with our data right away. Economists typically highlight individual or inter-generational mobility within the wealth distribution as both a reason not to care that the distribution itself is unequal and as an argument that having wealthy parents (or not) doesn’t matter that much for children’s outcomes. In fact, an influential model by the late Gary Becker and Nigel Tomes, both of the University of Chicago , predicts that accumulated wealth reduces income inequality because parents who love all their children equally allocate their bequests to compensate for their stupid children’s likely lower earnings potential in the labor market. According to those two authors, families redistribute from the smart to the dumb, and therefore, by implication, governments don’t have to redistribute from the rich to the poor. By formalizing reverse casual reasoning within the process of data analysis, we hope to make a step toward connecting our statistical reasoning to the ways that we naturally think and talk about causality. 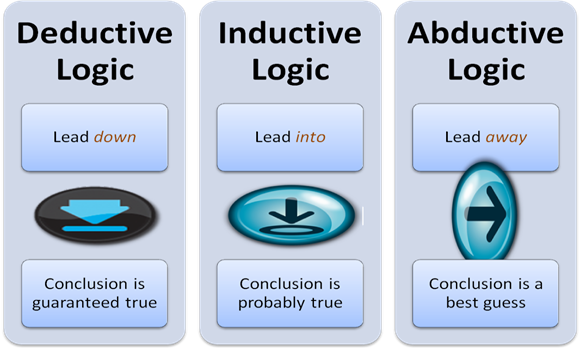 This is consistent with views such as Cartwright (2007) that causal inference in reality is more complex than is captured in any theory of inference … What we are really suggesting is a way of talking about reverse causal questions in a way that is complementary to, rather than outside of, the mainstream formalisms of statistics and econometrics. In a time when scientific relativism is expanding, it is important to keep up the claim for not reducing science to a pure discursive level. We have to maintain the Enlightenment tradition of thinking of reality as principally independent of our views of it and of the main task of science as studying the structure of this reality. Perhaps the most important contribution a researcher can make is reveal what this reality that is the object of science actually looks like. Science is made possible by the fact that there are structures that are durable and are independent of our knowledge or beliefs about them. There exists a reality beyond our theories and concepts of it. It is this independent reality that our theories in some way deal with. Contrary to positivism, I would as a critical realist argue that the main task of science is not to detect event-regularities between observed facts. Rather, that task must be conceived as identifying the underlying structure and forces that produce the observed events. In Gelman’s essay there is no explicit argument for abduction — inference to the best explanation — but I would still argue that it is de facto nothing but a very strong argument for why scientific realism and inference to the best explanation are the best alternatives for explaining what’s going on in the world we live in. The focus on causality, model checking, anomalies and context-dependence — although here expressed in statistical terms — is as close to abductive reasoning as we get in statistics and econometrics today. Financial crises – and most other failures of prediction – stem from this false sense of confidence. Precise forecasts masquerade as accurate ones, and some of us get fooled and double-down our bets. Sverige har haft massarbetslöshet i över 20 år. Varken de reformer som rekommenderas av etablerad nationalekonomisk teori, såsom lägre a-kassa, skatter och facklig organisering, eller andra förändringar, såsom låg realränta eller expansiv penningpolitik, verkar vara tillräcklig för att motverka denna massarbetslöshet. Än mindre för att skapa full sysselsättning. 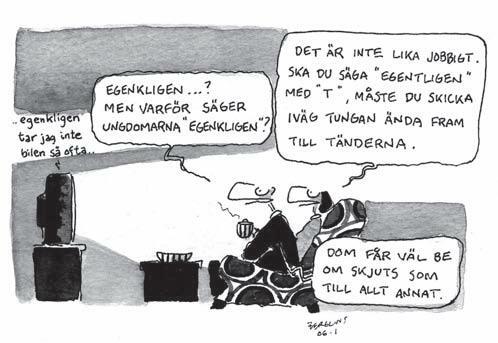 Alla partier i riksdagen arbetar i dag för att den sparsamma finanspolitik som bedrivits i Sverige sedan början av 1990-talet ska fortsätta. Men det finns ingen enkel relation mellan statsskuldens nivå och samhällsekonomins funktionssätt. Den skepsis som i dag verkar vara utbredd mot ökningar av statsskulden bygger till stora delar på helt omotiverade farhågor om dess inverkan på samhällsekonomin i övrigt. Delvis grundar sig detta i missförstånd om svensk ekonomi under 1990-talet. Det finns ingen mening att ha ett mål för låg statsskuld om detta inte bidrar till sysselsättning, tillväxt eller något annat önskvärt. Mycket tyder på att sparsam finanspolitik kan skapa stora problem för samhällsekonomin, både vad gäller sysselsättning och tillväxt. 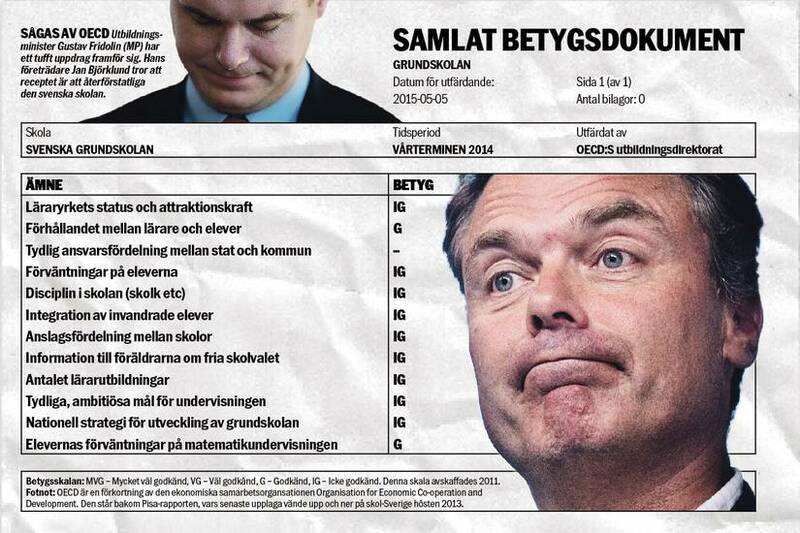 Och mycket tyder på att expansiv finanspolitik är det nödvändiga verktyg som regeringen måste använda för att nå full sysselsättning. Regeringen bör därför avskaffa överskottsmålet. I den mån det överhuvudtaget bör finnas explicita långsiktiga mål för statens finanser och statsskulden talar mycket för att detta bör vara någon form av expansionsmål eller underskottsmål. Om det finns lediga resurser, såsom arbetslösa, bör regeringen se till att deras arbete kommer till nytta — genom att öka statsskulden om så krävs. 8 maj, 2015 kl. 14:30 | Publicerat i Economics | Kommentarer inaktiverade för Bra rutet! Fredrik Andersson, 43, är lärare på Slottsskolan i Vingåker. Han har infört helt nya regler – för att komma tillrätta med sena ankomster och dåliga prestationer. Han nämner också att han kommer registrera alla sena ankomster som överstiger en minut och att han, dagligen om så behövs, kommer att kontakta föräldrar om saker går fel. – Jag kommer att ställa och formulera krav på ett sådant sätt att det inte kommer att vara möjligt att smita undan längre, säger Fredrik Andersson. Principle 1: Credentials are not an argument. Suggested Retort: Loud, barking laughter. Reason You’re Right: Credentials? Gimme a break. Nobody accepts received wisdom from sages these days. Show me the argument! Principle 2: ”All theories are wrong” is false. Reason You’re Right: To say models are ”wrong” is fatuous semantics; philosophically, models can only have degrees of predictive power within domains of validity. Newton’s Laws are only ”wrong” if you are studying something very small or moving very fast. For most everyday applications, Newton’s Laws are very, very right. Principle 3: ”We have theories for that” is not good enough. Reason You’re Right: Actually, there are two reasons. Reason 1 is that it is possible to make many models to describe any phenomenon, and thus there is no guarantee that Phenomenon X is correctly describe by Theory Y rather than some other theory, unless there is good solid evidence that Theory Y is right, in which case economists should be paying more a lot attention to Theory Y. Reason 2 is that if the profession doesn’t have a good way to choose which theories to apply and when, then simply having a bunch of theories sitting around gathering dust is a little pointless. Principle 4: Argument by accounting identity almost never works. Reason You’re Right: Accounting identities are mostly just definitions. Very rarely do definitions tell us anything useful about the behavior of variables in the real world. The only exception is when you have a very good understanding of the behavior of all but one of the variables in an accounting identity, in which case of course it is useful. But that is a very rare situation indeed. Principle 5: The Efficient Markets Hypothesis does not automatically render all models useless. Reason You’re Right: Conditional predictions are different than unconditional predictions. A macro model that is useful for making policy will not say ”Tomorrow X will happen.” It will say ”Tomorrow X will happen unless you do something to stop it.” If policy is taken to be exogenous to a model (a ”shock”), then the EMH does not say anything about whether you can see an event coming and do something about it. Principle 6: Models that only fit one piece of the data are not very good models. Reason You’re Right: Suppose you make a different model to fit each phenomenon. Only if all your models don’t interact will you be able to use each different model to study its own phenomenon. And this is highly unlikely to happen. Also, it’s generally pretty easy to make a large number of different models that fit any one given fact, but very hard to make models that fit a whole bunch of facts at once. For these reasons, many philosophers of science claim that science theories should explain a whole bunch of phenomena in terms of some smaller, simpler subset of underlying phenomena. Or, in other words, wrong theories are wrong. Principle 7: The message is not the messenger. Reason You’re Right: This should be fairly obvious, but people seem to forget it. Even angry hackish ignorant stupid communist corrupt non-economists can make good cogent correct arguments (or, at least, repeat them from some more reputable source!). Arguments should be argued on the merits. This is the converse of Principle 1. There are, of course, a lot more principles than these … The set of silly things that people can and will say to try to beat an interlocutor down is, well, very large. But I think these seven principles will guard you against much of the worst of the silliness. At a realistic level of analysis, Keynes’ claim that some events could have no probability ratios assigned to them can be represented as rejecting the belief that some observed economic phenomena are the outcomes of any stochastic process: probability structures do not even fleetingly exist for many economic events. 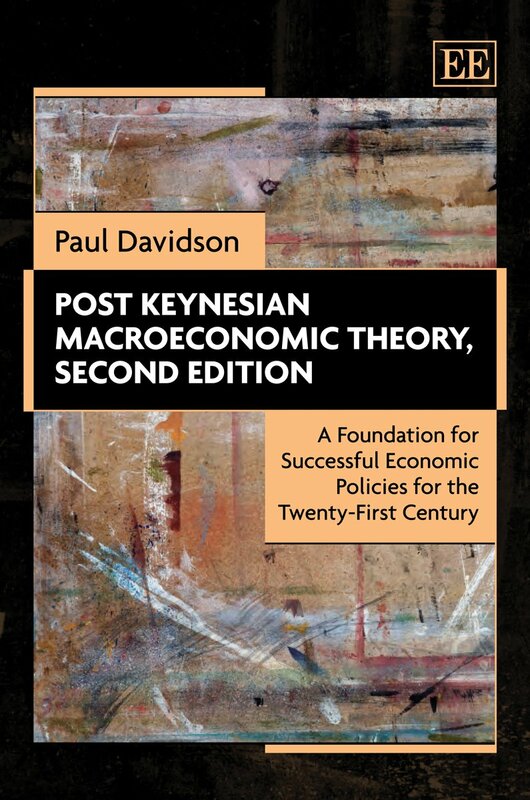 For macroeconomic functions it can be claimed that only a single realization exists since there is only one actual economy; hence there are no cross-sectional data which are relevant. If we do not possess, never have possessed, and conceptually never will possess an ensemble of macroeconomic worlds, then the entire concept of the definition of relevant distribution functions is questionable. It can be logically argued that the distribution function cannot be defined if all the macroinformation which can exist is only a finite part (the past and the present) of a single realization. Since a universe of such realizations must at least conceptually exist for this theory to be germane, the application of the mathematical theory of stochastic processes to macroeconomic phenomena is therefore questionable, if not in principle invalid. To understand real world ”non-routine” decisions and unforeseeable changes in behaviour, ergodic probability distributions are of no avail. In a world full of genuine uncertainty — where real historical time rules the roost — the probabilities that ruled the past are not necessarily those that will rule the future. When we cannot accept that the observations, along the time-series available to us, are independent … we have, in strict logic, no more than one observation, all of the separate items having to be taken together. For the analysis of that the probability calculus is useless; it does not apply … I am bold enough to conclude, from these considerations that the usefulness of ‘statistical’ or ‘stochastic’ methods in economics is a good deal less than is now conventionally supposed … We should always ask ourselves, before we apply them, whether they are appropriate to the problem in hand. Very often they are not … The probability calculus is no excuse for forgetfulness. To simply assume that economic processes are ergodic — and a fortiori in any relevant sense timeless — is not a sensible way for dealing with the kind of genuine uncertainty that permeates open systems such as economies. 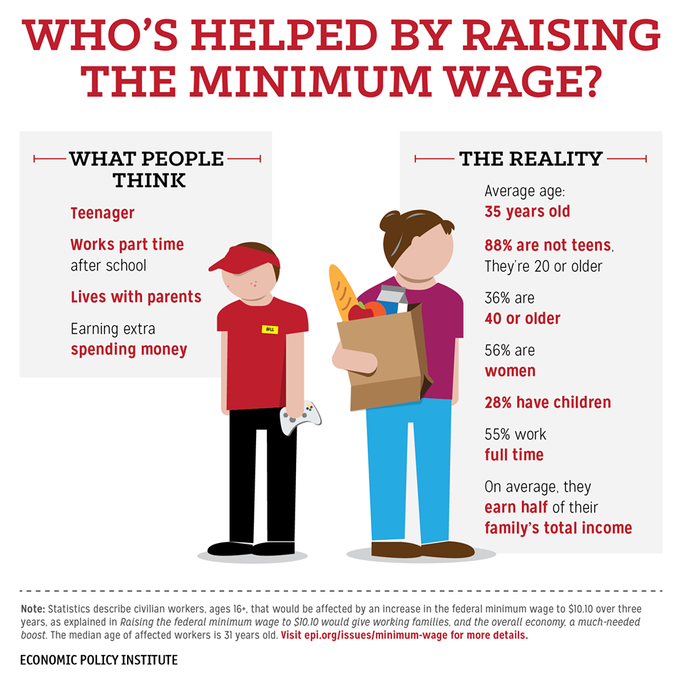 Economists have conducted hundreds of studies of the employment impact of the minimum wage. Summarizing those studies is a daunting task, but two recent meta-studies analyzing the research conducted since the early 1990s concludes that the minimum wage has little or no discernible effect on the employment prospects of low-wage workers. The most likely reason for this outcome is that the cost shock of the minimum wage is small relative to most firms’ overall costs and only modest relative to the wages paid to low-wage workers. In the traditional discussion of the minimum wage, economists have focused on how these costs affect employment outcomes, but employers have many other channels of adjustment. Employers can reduce hours, non-wage benefits, or training. Employers can also shift the composition towardhigher skilled workers, cut pay to more highly paid workers, take action to increase worker productivity (from reorganizing production to increasing training), increase prices to consumers, or simply accept a smaller profit margin. 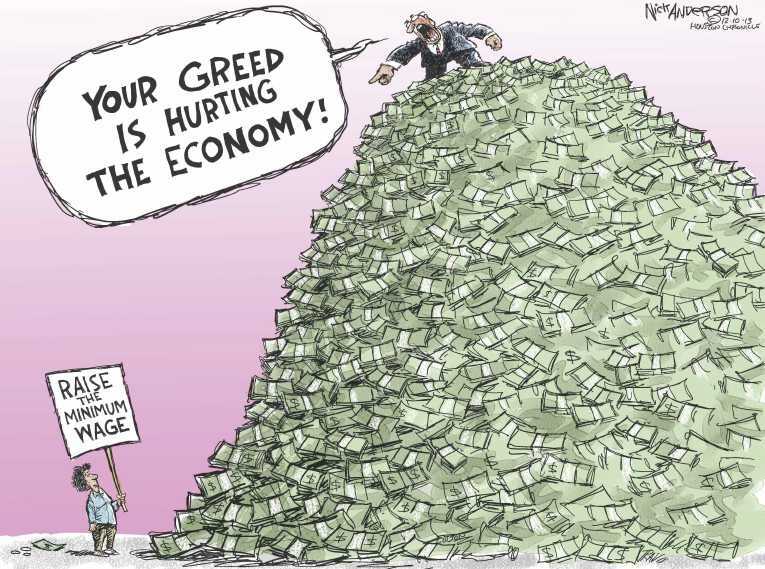 Workers may also respond to the higher wage by working harder on the job. But, probably the most important channel of adjustment is through reductions in labor turnover, which yield significant cost savings to employers. In fact … Taylor’s central claim about the alleged errors of monetary policy is bizarre. 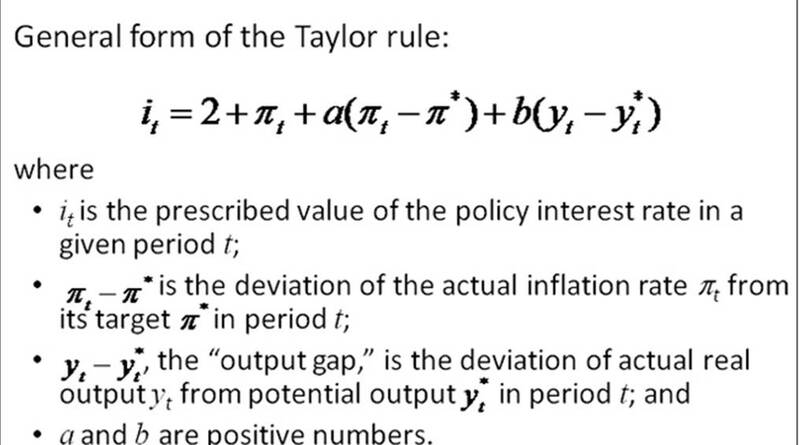 The Taylor rule was and is a clever heuristic for describing how central banks try to steer between unemployment and inflation, and perhaps a useful guide to how they ought to behave in normal times. But it says nothing at all about bubbles and financial crises; financial instability is impossible in the models usually used to justify the rule, and the rule wasn’t devised with such possibilities in mind. 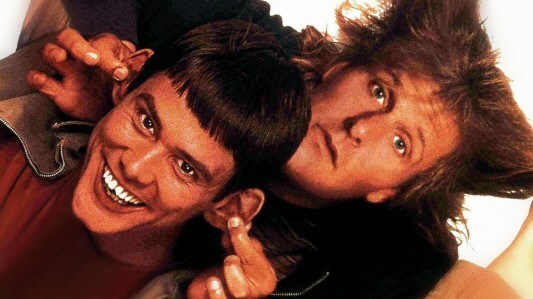 It makes no sense, then, to claim that following the rule just so happens to be exactly what we need to avoid crises. It slices! It dices! It prevents housing bubbles and stabilizes the financial system! No, I don’t think so. Causality in social sciences — and economics — can never solely be a question of statistical inference. Causality entails more than predictability, and to really in depth explain social phenomena require theory. Analysis of variation — the foundation of all econometrics — can never in itself reveal how these variations are brought about. First when we are able to tie actions, processes or structures to the statistical relations detected, can we say that we are getting at relevant explanations of causation. For more on these issues — see the chapter ”Capturing causality in economics and the limits of statistical inference” in my On the use and misuse of theories and models in economics.